You like Metronimo software and use them regularly, you can reward the author. The Metronimo Music Web Site : Software to learn music, on line games, ringtones, logos. - Software to learn the greatest classic composers : The Book of Composers. 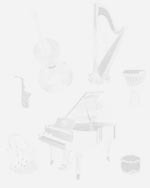 - Software to learn to identify the instruments of the symphony orchestra : Musical Instruments. The minimal configuration is : PC with Pentium processor or better recommended - Windows 95, 98, Me, 2000, XP - 32 MB of RAM - Video card SVGA (800 x 600 with 65000 colors) - Sound card. Pianonimo, Rhythmonimo, Tetronimo and Metronimo Quiz work with Vista and Seven. 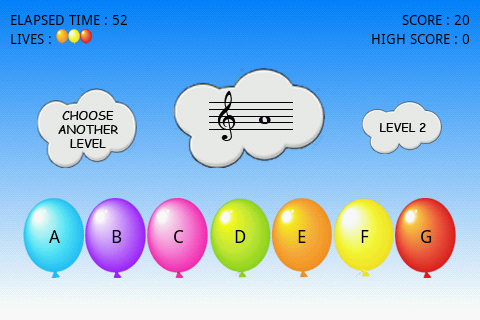 Ballonimo, an Android game to learn the treble clef.